Things to Do in Colorado Springs This May: Where Should You Visit? Highly respected Colorado Springs commercial roofing contractors know that Colorado Springs is a great place not only to work and engage in business, but it is also a wonderful place for a vacation. Most of the residents who live in these parts and the tourists who have visited Colorado Springs recently can attest to that fact. But what makes it so special, and why should you even consider visiting the city in the first place? 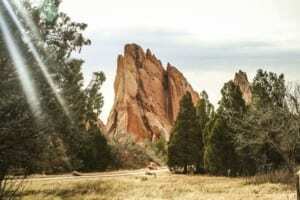 The Garden of the Gods is probably the most well-known attraction in or around the Colorado Springs area. This beautiful public park is one of the true natural wonders of the United States and a must-see for anyone visiting the state of Colorado. It was designated a National Natural Landmark as early as 1971. If you’re interested in luxury resorts, you can’t leave Colorado Springs without checking into the Broadmoor. This stunning luxury hotel is located on the beautiful shores of Cheyenne Lake, and features a stunning garden, lavishing rooms and an unforgettable view. Finally, when you’re in the Colorado Springs area, there’s a lot to be said about visiting the Broadmoor Seven Falls. These spectacular cascading waterfalls have remained a privately owned tourist attraction since they were made available to the public almost 140 years ago. They are located not far from Colorado Springs in the South Cheyenne Cañon.